Living overseas in Kenya, Cindy decided to book a long distance wedding on the other side of the world! 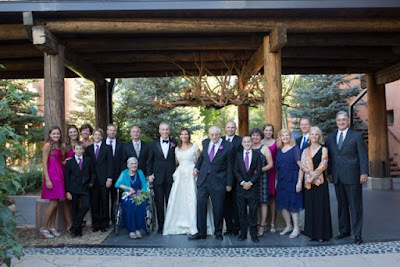 She and Nigel were married in Taos, New Mexico with a gorgeous mountainous backdrop. 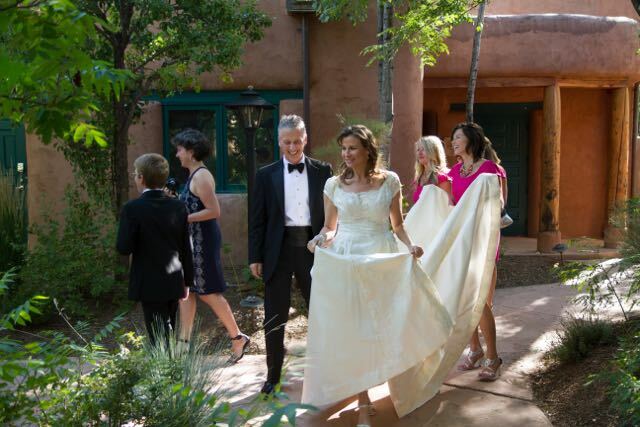 Nigel is from the UK and had never been to New Mexico, while the bride and her father traveled to New Mexico 6 months before the wedding date to begin the planning. As a touching tribute to her mother who passed away in 2013, Cindy wore her mom's wedding dress and got married on her birthday. Her 3 nieces were in the bridal party and wore Alfred Sung dresses in Cerise, a vibrant dark pink color. "My sister-in-law suggested Joielle for the dresses for the nieces. They turned out perfect and it was easy to make it happen from afar. 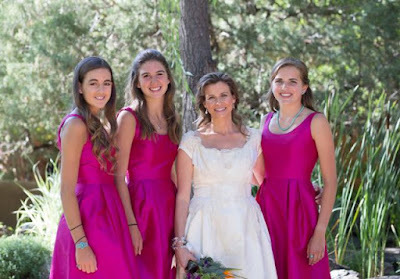 The three girls picked a dress that complemented the other dresses perfectly." 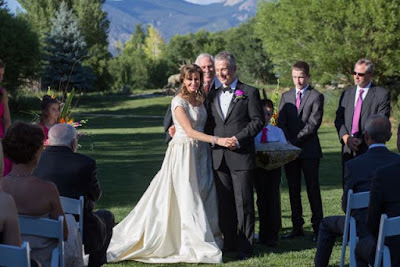 Cindy's favorite moments of the day were seeing Nigel cry when he saw the photographer taking her bridal photos and observing all the people she loved most having a wonderful time with each other, dining and dancing. Congrats Cindy and Nigel! May you cherish your bright and adventurous life together. Beautiful Wedding details. Love the bridesmaids pink dresses. Thanks for sharing. 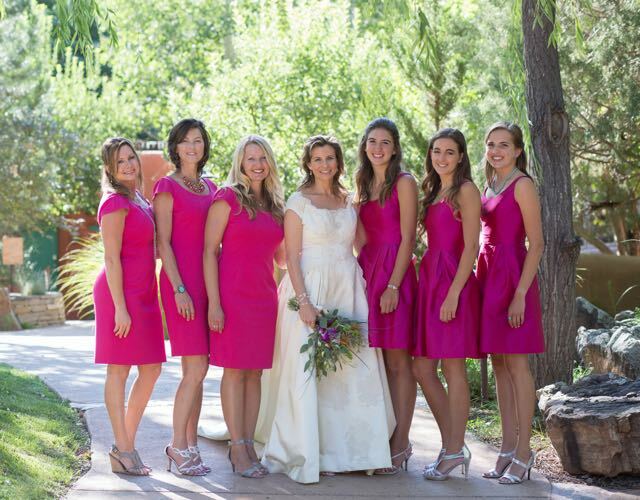 I am so just in love with the bridesmaids dresses in vibrant dark pink color. They look amazing. Wish Cindy and Nigel a happy married life. The locations is damn good and something unique. Looks like a great wedding ceremony. 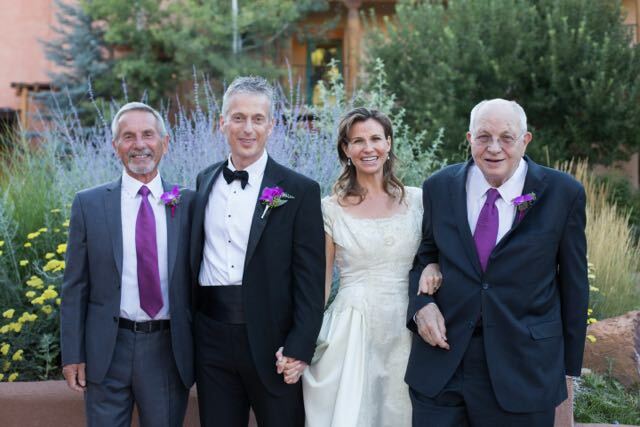 Congratulations to both the bride & the groom. First of all congratulation to Cindy & Nigel. Really amazing wedding information you shared.